So, this past week was pretty crazy! And if you follow me on Instagram @frugallysustain chances are you know why! …and miraculously enough — a couple days ago the vintage camping trailer stars aligned and today I have the sweetest ole’ girl sitting in my driveway! Now the process of restoration begins! And my mind is spinning with plans and ideas! All of this excitement has made for a bit of sleeplessness. So…I whipped up a quick batch of herbal tea to remedy the situation. Throughout the realms of folklore, there have been several plant-based remedies created with herbs known to help induce a restorative sleep. 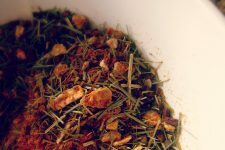 One of the most common remedies has always been an herbal tea blend — one designed specifically with harmonious herbs that produce a sedative effect…taken just as the moon rises — before bedtime. 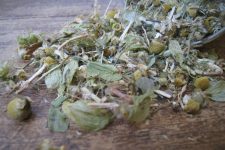 Lemon balm gives us balance. 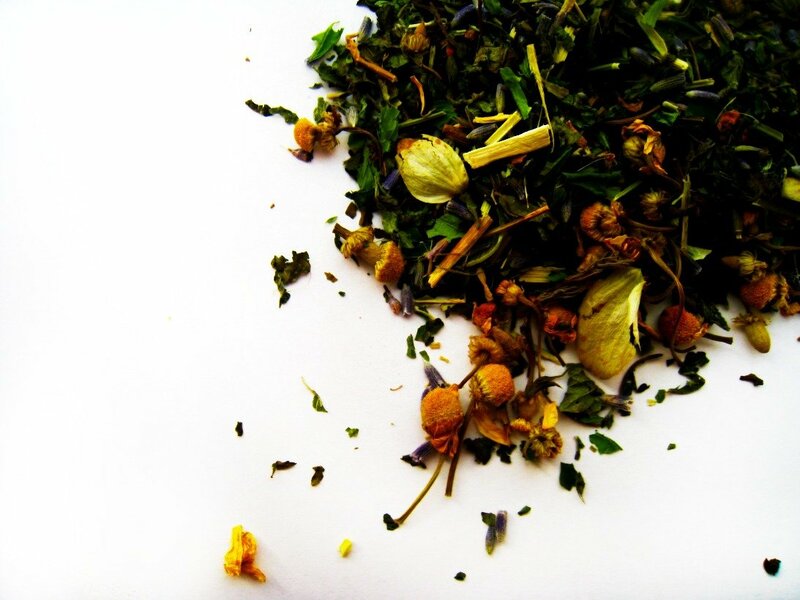 Valerian root + hop flowers have the power to relax and induce a deep, restful sleep. Skullcap relieves sleeplessness related to an anxious mind. 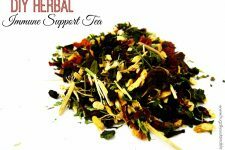 You can find the recipe for those remedies above by clicking the links. *Purchase organically-grown or wildcrafted herbs whenever possible. 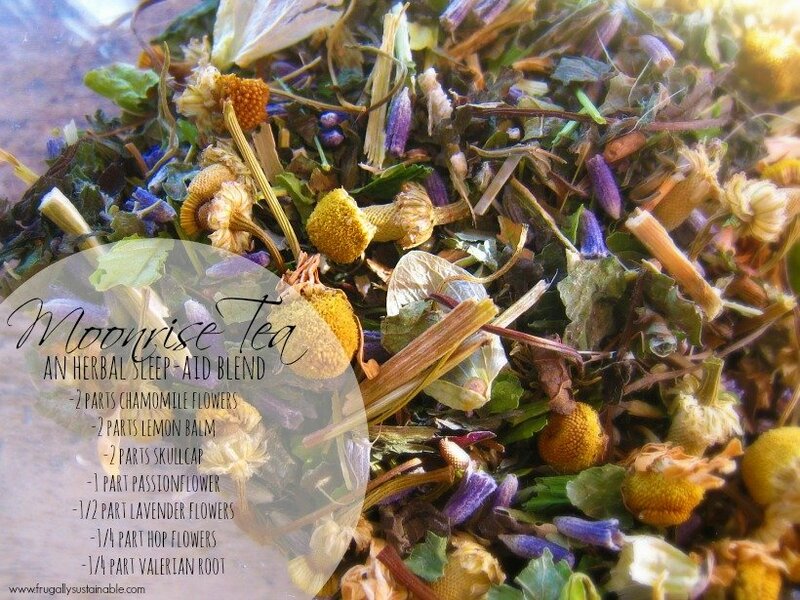 Do you have a substitute for chamomile? It gives me a stomachache (I know it’s supposed to soothe the stomach, but not for me). I just put one TBSP of grind fresh ginger + one TBSP of honey with hot water…. filter out ginger crumbs before drinking. okay, im new at the mixing and using teas. how much of this tea do you use each time? also, I am type 2 diabetic and on high blood pressure medicine, so can I use these herbs with no probems. I have to use a muscle relaxer to be able to sleep and most nights im just lying there looking at the ceiling for hours instead of peacefully sleeping like I desperately need. my mind wont shut up or let me relax and sleep. thank you for the recipes and information. Any ideas and remedies are Greatly appreciated.